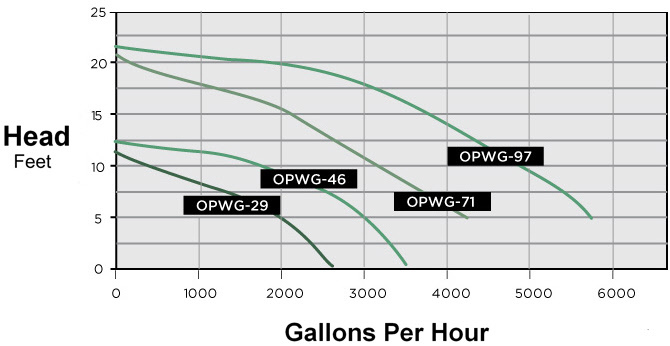 The Little Giant Professional Series of pumps produce a maximum flow rate with minimal electrical consumption. The dollars saved from reduced operating costs can pay for the pump in a matter of months. The Professional Series are end suction centrifugal pumps, designed to be located on the perimeter of the pond. This eliminates the need for wading into the pond to service the pump or pump intake filter. By locating the pump outside of the pond, you also greatly reduce the chance of electrical shock. NOTE: For above the water level applications, a leaf basket is required to act as a priming chamber. 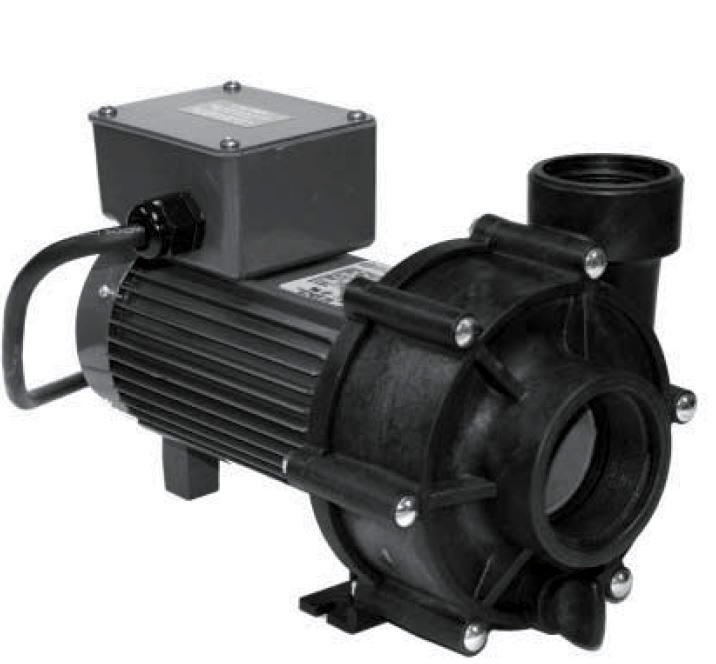 Dimensions: 7" x 8" x 11"
Dimensions: 9" x 8" x 15"
HPP Series External pond pump flow rates. The Professional Series was designed with the professional in mind. Built tough, the pump housings are injection molded of corrosion resistant thermoplastics, and are mounted to custom-built motors. Each Professional Series pump is thoroughly tested prior to shipment. When properly installed, your pump is designed to provide years of dependable, reliable service. Install these pumps wherever you desire. The Professional Series was designed for water gardening, not industrial applications, generating noise levels equivalent to a small electrical fan at 52 dB.